Staff was very friendly and helpful, especially Divine!!! It was a great location near some really good restaurants. Drivers and guides were available. Thanks for everything!! This is an amazing city and the people of Rwanda are incredible. Great place with a very friendly staff. 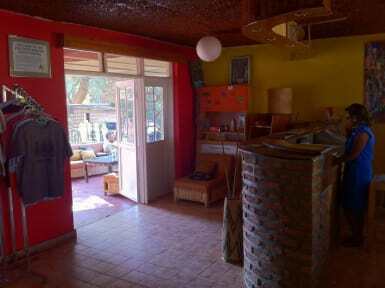 The place is owned by the foundation which runs the Genocide Memorial, so your money is going to a good cause as well. Always a nice mix of locals and visitors to keep you company. Good location, good atmosphere because of the terrace where people gathered, they accepted USD. No hot water and rather simple breakfast, but overall good. Place is fine. Some foreign and local tourists (east africa region). Clean, safe, nice. Hot showers only sometimes. 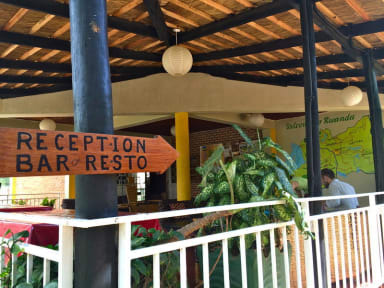 I really wanted to like this well-known hostel, the oldest in Rwanda, in a great location. I came as a professor with a group of students for a travel class I was teaching, but ultimately pulled us out two days early due to unfriendly staff, disappointing conditions (terrible shower, a used condom in the group bathroom, moldy-smelling rooms, and outlets that didn't work), a really inadequate "breakfast," and the ubiquitous presence of a European freeloader who wouldn't get off the couch.